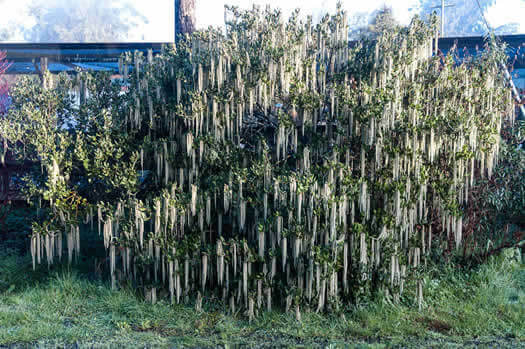 This evergreen upright shrub has an attractive winter display of long pendulous white catkins. 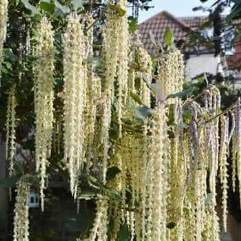 Good as a specimen plant, hedge, border or pot plant. Also good for cut flowers.